For about 22 days, the CCleaner system maintenance application distributed malware through its official channels. It appears to have been an exploit of the CCleaner installer’s download server, meaning that whenever anyone downloaded the software via official means, they also unwittingly downloaded a piece of malware. Thankfully, if you update your CCleaner to the latest version, you should be fine. Avast was made aware of the malicious code on September 12, but had to act quickly and covertly to neutralize the threat. “CCleaner is not a product that could be remotely updated like the other Avast products, which means in order to quote ‘fix’ it, we had to shut down the server that it was communicating with. Which, of course, we don’t own that server — it was part of a server farm — so we had to work with law enforcement to get that server shut down,” Avast CEO Vince Steckler told Digital Trends. Once the code was detected, Avast had to keep it under wraps so the culprit was unaware the company was on to the malware infection. “The malicious code was a two-stage code, that is it has a rather innocuous component that transmitted some very basic non-personal data, but there was a second stage which allowed the server to transmit any executable [file] to CCleaner for execution, and that’s the dangerous part,” Steckler said. After finding it and getting the server shut down, Avast could safely announce what had happened without endangering vulnerable customers. “We started working with law enforcement on late Tuesday [September 12] afternoon, and we got the server shut down on Friday [September 15] of last week. So that deactivated, or rendered meaningless any of this code — then we could safely go out and make an announcement,” Steckler said. Although malware of all types is most commonly spread through phishing attacks like infected attachments and phony links, a tactic that is seeing a lot of success is the infection of trusted platforms. Whether it’s hijacking legitimate distribution accounts, or in this case the download servers themselves, it leaves the victims vulnerable to infection even if they observe proper personal security practices. According to Cova, an attack like this is among the most damaging. “This is sort of a holy grail for malware authors because they can efficiently distribute their malware, hide it in a trusted channel, and reach a potentially large number of users,” he said. To make matters worse, the nature of the attack “indicates that attackers were able to control a critical piece of infrastructure used by the vendor.” In other words, the hackers likely had broad access to CCleaner’s systems. Fortunately, the code was detected before it ever had the chance to hijack vulnerable computers, according to Steckler. The payload for this malware attack has several tasks once installed. As Talos describes in its breakdown of the malware attack, it first lays dormant to avoid automated detection systems, before checking to see if it has admin access. If not, it shuts itself down to avoid detection, but if it does, it proceeds to gather information on the system and then sends it to a remote server for later collection. It then looks to connect to several other domains, leading to the potential download of more malicious software. Piriform, the software’s developer, has since issued an apology for the exploit affecting so many of its customers. It warns that anyone running CCleaner version 5.33.6162 and CCleaner Cloud version 1.07.3191 could be affected. It suggests anyone running either version update to the latest release, which has been confirmed to be infection free. It would also be a good idea to run standard antivirus and antimalware checks with your chosen security software. If you don’t have one or aren’t sure which to opt for, these are some of our favorites. And if you’re a Mac use,r you’re not immune. Here are our favorite antivirus options for MacOS. Even though a fix was issued quickly, one of the worst aspects of this sort of exploit is that it could reduce the trust people have in legitimate sources and institutions. 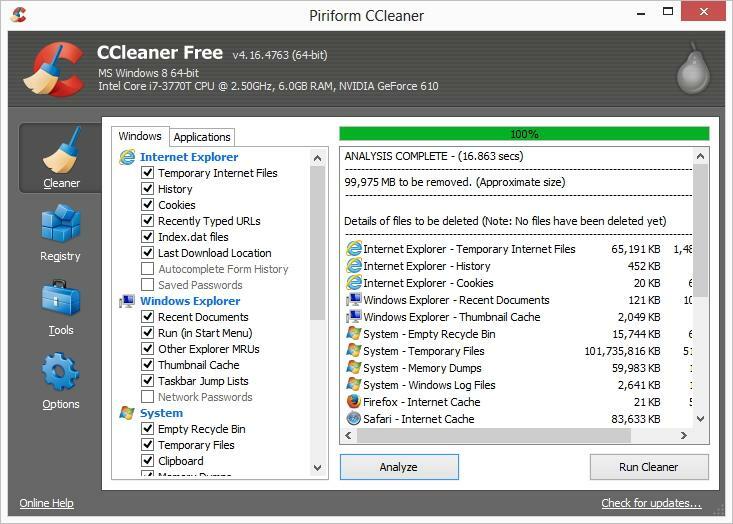 Piriform was purchased by the antimalware company Avast in July, while a fellow antimalware firm, Symantec, issued the infected CCleaner download with its valid security certificate. Having the rug pulled out from a legitimate download like this makes it much harder for those with little security knowledge to know where to turn to protect themselves online. If the very companies that purport to do so can aid in the proliferation of malware themselves, who can you trust? Updated with remarks from Avast CEO Vince Steckler.